Jim's Automotive Machine Shop, Inc.
Due to demand, Jim’s Automotive Machine Shop, Inc. performs machine work by appointment only. If you would like to schedule an appointment, please fill out the form below with your name, contact information, and as much information as possible about what you are working on. 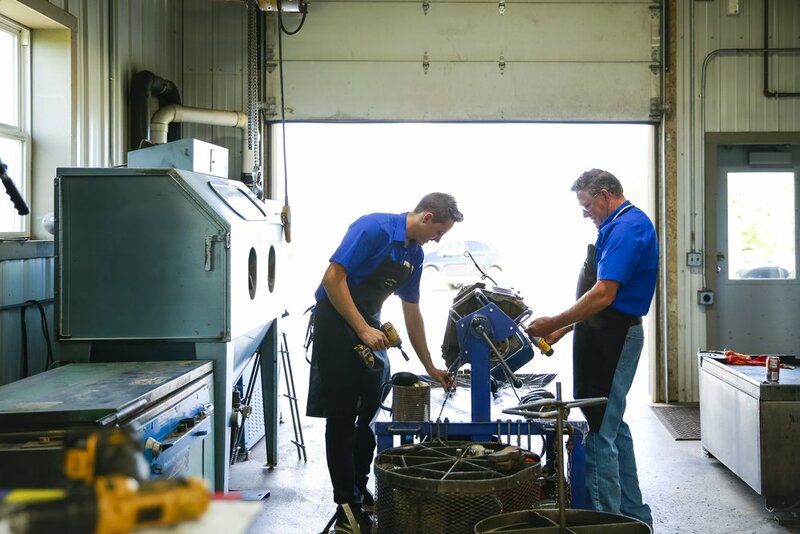 Engines and components are first torn down and cleaned using a variety of different processes including: thermal cleaning to bake grease and moisture out of the parts, glass or steel shot blasting, and two separate jet spray cabinets. Once clean, cylinder heads are thoroughly inspected so that machining processes can be performed. Heads are surfaced to restore flatness and achieve the smoothness required for proper sealing. Additional machining is performed as necessary including installing new guides, seats, valves, seals, and springs. Engine blocks are thoroughly inspected and then the cylinders are bored for oversize pistons and the deck surfaced. If necessary, sleeves will be installed. After boring and decking, the block will have its cylinders honed. After boring, cylinders are honed to achieve a plateaued "crosshatch" pattern. This highly precise finish provides good oil retention and ring support, as well as preconditioning the cylinders reducing the time it takes for new rings to seat, reducing initial ring wear, reducing blowby, and reducing overall oil consumption. Crankshafts are inspected and straightened if necessary. Crankshaft main and rod journals are then ground and polished as necessary for undersize bearings. Connecting rods are inspected and then reconditioned to factory specifications using a Sunnen precision honing machine. Connecting rods and caps are ground at the mating surface and then torqued to specification. Next, they are honed to the original factory specification for that particular rod. If necessary, connecting rod bolts and nuts will be replaced. After all machine work has been completed and parts have been thoroughly cleaned one last time, assembly will occur. For some customers, assembly consists of an entire engine. 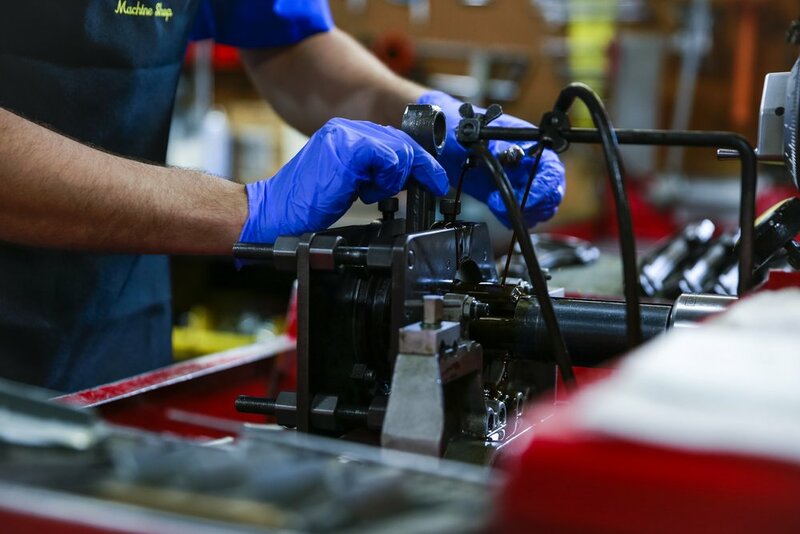 Other customers may simply need a cylinder head machined and reassembled, or connecting rods reconditioned and pressed onto new pistons. Whatever machining processes and assembly you require, we can handle it!